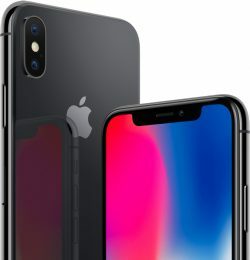 Report Claims iPhone X Sales Not as Strong as Expected in the U.S.
Sources in the semiconductor packaging and testing service industry claim that pre-orders for the iPhone X are not as strong as expected in some markets, such as the U.S., Taiwan, and Singapore, although supply remains tight in other markets including Japan (via DigiTimes). In contrast, Apple Watch sales are said to have been impressive across the board, with shipment estimates reaching 27 million units, which is higher than an earlier forecast putting the number around 23 to 25 million units. iPhone X shipments are expected to reach 30-35 million units in the fourth quarter of 2017 and level out or dip slightly going into next year, according to the same sources from the upstream supply chain. Today's report casts a different light on steady improvements in iPhone X supplies which have seen shipping estimates fall to 1 to 2 weeks in several countries. According to KGI Securities analyst Ming-Chi Kuo, who frequently shares accurate information from Apple's supply chain, the supply increase is due to better-than-expected improvements in production since the device's launch, rather than weakening demand. As a result of the improved production, Kuo believes iPhone X shipments in the fourth calendar quarter could be higher than previous estimates, although he too expects the acceleration to cause shipments in the first quarter of 2018 to be flat or slightly lower compared to the fourth quarter. Apple is rumored to be launching a trio of new iPhone models in 2018, including 5.8-inch and 6.5-inch models with OLED displays and a 6.1-inch model with an LCD display. No person in his/ her right mind would pay $1,000.00 for a mobile device. I have loved iPhones ever since the 2G came out and have upgraded every year but decided to skip this year not because money is the issue, but because I'm just not able to justify to myself spending a grand for a new cellphone. Apple shot themselves in the foot with FAIL ID. How so? Or is it because you're disgruntled that touch ID will no longer be in existence in the future of the iPhone now that Face ID is replacing it? I Believe Face ID will be highly successful in the long run and it's The start of what's to come for the iPhone and merging into other Apple products. RP, making assumptions, are we? Sales person: It has a notch and looses half its cpu speed when the battery degrades! They officially screwed up with iPhone 8 & 10 release coming out together to manipulate their regular customers who upgrade every year and to spend $1,830 on the 10.. It looks fugly with that notch, I skipped and dodged the bullet and got the s8! It is very similar to an 10.. and I got a fast charger for FREE. I’m happy that I can root it not like apple keep patching jailbreak before it even coming out. They can be greedy but it’s my mobile phone I want to take advantage of $1,000. “Officially” meaning “the musings of Apl3r”, right? Plenty of people are happy with their X. Plenty are happy with the 8. Plenty are happy with a Samsung S8. We will see how much Apple "screwed up" during their next quarterly report, which will be an all time record quarter even at the lower end of the guidance (it will go well beyond the higher end though). Everybody says my daughter looks like me. Sure enough, she can't unlock my iPhone X. What has been tricked is the mind of people believing in clever viral videos. move along guys. nothing to see here.